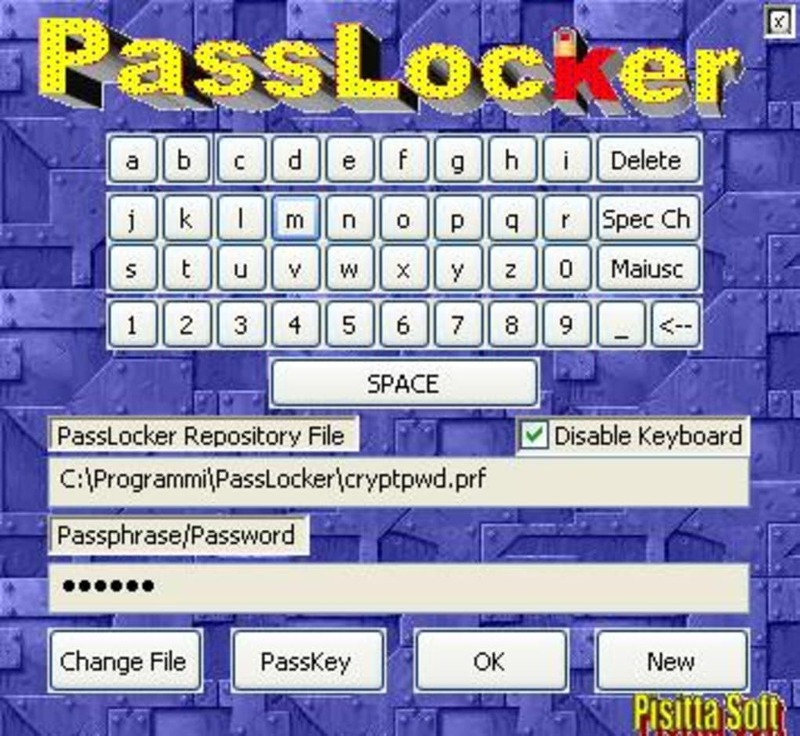 PassLocker is a popular, free Windows software, that is part of the category Security software with subcategory Password (more specifically Managers). Since the software has been added to our selection of software and apps in 2007, it has achieved 10,177 downloads, and last week it gained 4 downloads.It's available for users with the operating system Windows 98 and former versions, and you can download it in English. The current version of the program is 1.10 and it has been updated on 6/11/2007.About the download, PassLocker is a light program that takes up less space than most software in the section Security software. It's very heavily used in some countries such as India, Sri Lanka, and Singapore. PassLocker is a password manager that helps you to manage and store your passwords safely. Makes easy to access your websites, email, standalone applications, instant messengers etc. You can easily store all your passwords and encrypt them in a secure way. 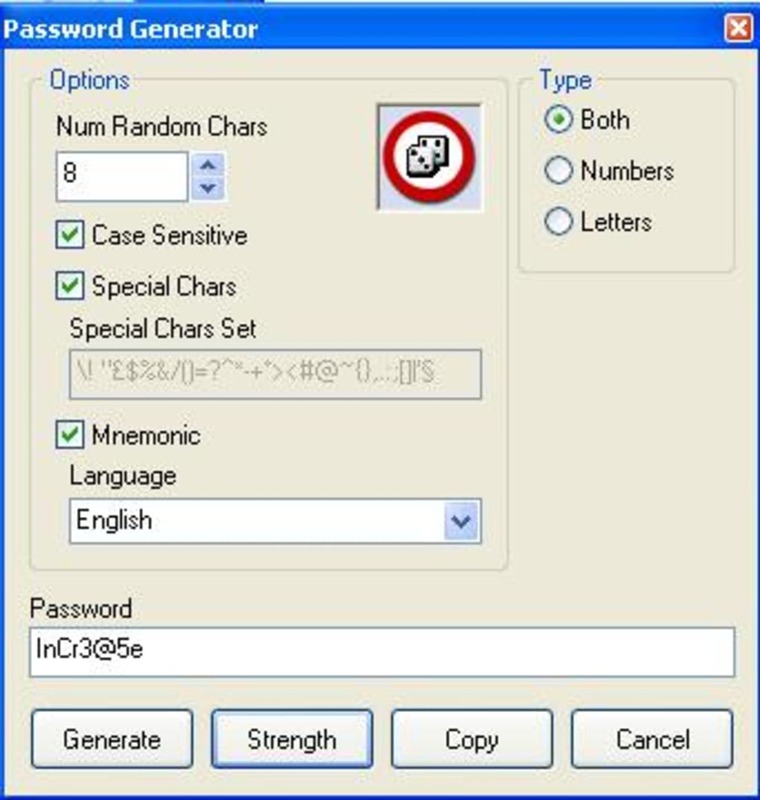 The program can generate random passwords (also mnemonic! ), calculates their strengths and permits you to select quickly usernames and keys and put them in your favourite applications. You can do backups of your password database and generate PassKey files. With a PassKey you can make access to PassLocker repository by a file that can be Hardware dependent (to use with USB memories and other removable devices. You can also Import/Export the repository from/to several file types. PassLocker uses a strong encryption algorithm: this algorithm is an evolution of TripleDes that is documented here. The implementation of this algorithm is described in Crypto++ library (it is named DES-EDE2 and HMAC/SHA-1) and it encrypts files using your passphrase in input. Someone that don't know your passphrase cannot access to your password repository and he cannot in any manner read your repository file (e. g.
PassLocker provide a very simple user interface: the main window displays always the current application selected in the repository, a menu and 6 main action buttons that permit to you to copy username and password to clipboard, save repository changes, open web urls, open tree repository and calculate passwords strenght. The repository window instead displays all the repository so you can at any moment see either the entire organized applications repository tree and the selected application data. You can save your applications data (usernames, passwords, web-urls, notes etc. ) in a hierarchical tree repository organized in groups of applications. You can decide to group and organize your applications by functions or types (e. g. mails, home banking, instant messengers, web-sites etc. ). You can also associate an icon image to groups or applications. You can generate safe random passwords by the PassLocker password generator: You can generate case sensitive passwords or keywords that contains special characters. What do you think about PassLocker? Do you recommend it? Why?